The Mongol Derby is the longest and most dangerous horse race in the world, and two Cambridge men are preparing to take it on. In August, Maxim van Lierde and Patrick Sells are taking on the challenge that will see them cover 1000km in 10 days on the backs of half wild mongolian steppe ponies. The event, organised by a group called The Adventurists, doubles as a fundraiser for charity. Each competitor must raise at least $1000 for a charity of their choice and another $1000 for Cool Earth, a charity that works with villages to stop rainforest destruction. Van Lierde has chosen to raise money for the Waikato branch of Riding for the Disabled because he had seen first-hand the joy it give people. He was looking forward to the challenge, and said: "Every 40km we get a new horse, so that keeps the horses fresh and they have to pass a vet check at each station..."
Reform in horse-sport: What changes will the FEI get over the line? The big questions around horse-sport reform have been served up to national federations, as the FEI works to establish what changes might ultimately get some traction. Reform questions dominated the FEI Sports Forum in Lausanne, Switzerland, late in April, with delegates from around the globe hearing the reasons behind the need for change, as well as some options offered up by the FEI’s technical committees in each of the disciplines. More than 200 endurance riders from all over the UK took part in the Boconnoc Estate Ride, which took place last weekend and organised by Endurance GB’s South West Group. The 2015 Pan American Endurance Championship CEI 4*, which was planned for August 18, 2015 in Millbrook, ON, has been cancelled due to insufficient entries. For more information on the FEI-sanctioned North American Endurance Team Challenge, click here. What made you first start endurance riding? My mother Jeanna Maher began endurance riding when I was eight and when I turned 12, I started competing on my mother's horse Ariel. When I finished school at Gympie State High School, I started training horses at different stables in Kenilworth and Gympie for around six years before working in our family business Rushoz Endurance. How many Quiltys have you entered? I have been in six Quilty Cups. I finished ninth in the lightweight division in 2006; I didn't compete in 2008 and 2009; then in 2010, I decided to put weights in my saddle and came 10th at the Quilty as a middleweight. I was first in the lightweight division at Kilkivan in 2013 and three of the horses in my team I had worked with at the stables - including training two of them - scored some of the fastest times overall. The world’s highest court for sport-related cases has reduced the suspension imposed by the FEI Tribunal on Sheikh Hazza Bin Sultan Bin Zayed Al Nahyan over a positive test for a banned substance in an endurance horse he rode in Abu Dhabi early in 2012. During the hearing, the sheikh’s legal team took issue with key elements of the FEI’s strict liability principle that holds the rider as the Person Responsible for any drug or medication infraction in a horse unless they can prove no fault or negligence. That has proved to be a very high bar to clear in cases that have gone before the FEI Tribunal. 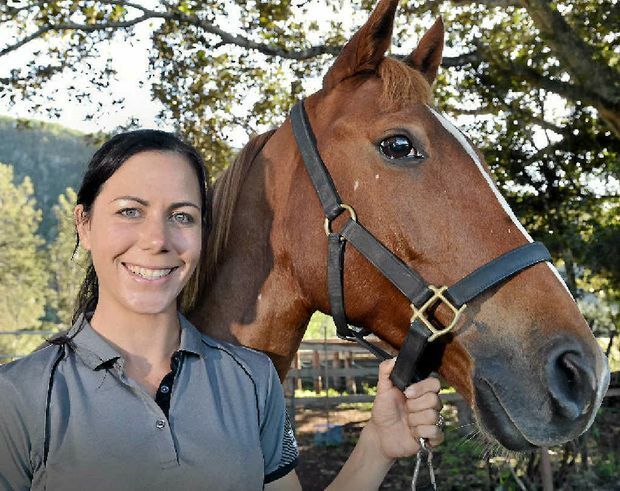 South African endurance rider Gillese De Villiers has received a six month suspension and a fine of 500 Swiss francs over her mount’s positive test for phenylbutazone and a related substance at the World Equestrian Games (WEG) in Normandy last year. De Villiers’ submissions to the FEI Tribunal even included the results of a polygraph (lie detector) test. The FEI Tribunal has issued its Final Decision in the case involving Nasser Khalifa N.J Al Thani (QAT) and the horse Brookleigh Caspar (FEI ID AUS40748) at the 120km one-star Endurance competition at Mesaieed in Doha (QAT) on 11 April 2014, following a positive finding for Prohibited Substances. Samples taken from the horse on 11 April 2014 returned positive for the Banned Substance Heptaminol and Controlled Medications Phenylbutazone, Meloxicam and Dexamethasone. Heptaminol is a stimulant that dilates blood vessels. Phenylbutazone and Meloxicam are non-steroidal anti-inflammatory drugs (NSAIDs) used for pain relief, and Dexamethasone is a corticosteroid with anti-inflammatory effect. Controlled Medications are substances that are regularly used to treat horses, but which are not allowed in competition in order to maintain a level playing field. Banned Substances should never be found in the horse. The FEI Tribunal has imposed a 27-month suspension on Al Thani, effective immediately from 18 June 2015, in accordance with Article 169 of the FEI’s General Regulations and Article 10 of the FEI Equine Anti-Doping and Controlled Medication Regulations (EADCMRs). Al Thani has been fined CHF 5,000 and will contribute CHF 2,000 towards the costs of the judicial procedure. He has 30 days from the date of notification to appeal this decision to the Court of Arbitration for Sport (CAS). The FEI Tribunal’s Final Decision on this case can be viewed here. The FEI Tribunal has also issued its Final Decision in the case involving Gillese De Villiers (RSA) and the horse Tra Flama at the Endurance competition of the FEI World Equestrian Games™ 2014, following a positive finding for a Controlled Medication Substance. Samples taken on 28 August 2014 from the horse returned positive for the Controlled Medication substance Phenylbutazone and its metabolite Oxyphenbutazone. Phenylbutazone is a non-steroidal anti-inflammatory used for the treatment of pain. Tra Flama was vetted out at the second Vet Gate on the Endurance course. The FEI Tribunal has imposed a six-month suspension on De Villiers, effective immediately from 21 June 2015, in accordance with Article 169 of the FEI’s General Regulations and Article 10 of the FEI Equine Anti-Doping and Controlled Medication Regulations. De Villiers has also been fined CHF 500, will cover the B Sample analysis costs and contribute towards the costs of the judicial procedure. She has 30 days from the date of notification to appeal this decision to the Court of Arbitration for Sport (CAS). Separately, the CAS has upheld the FEI’s principle of strict liability in the application of the EADCMRs in an appeal lodged by HH Sheikh Hazza Bin Sultan Bin Zayed Al Nahyan (UAE) against the FEI Tribunal ruling of 7 April 2014, but has reduced the period of suspension for the athlete from 27 to 18 months. The horse Glenmorgan, which HH Sheikh Hazza rode to win the CEI3* in Al Wathba (UAE) on 11 February 2012, tested positive for Propoxyphene and its metabolite Norpropoxyphene. Propoxyphene, which is an opiate analgesic, is classified as a Banned Substance under the FEI’s EADCMRs. As the rider and therefore the Person Responsible, HH Sheikh Hazza was immediately suspended from 12 March 2012, the date on which he was notified by the FEI of the positive case. A two-month provisional suspension was imposed on the horse from the same date. HH Sheikh Hazza conducted extensive investigations to establish the source of the Propoxyphene between mid June 2012 and late February 2014. In its Final Decision, the FEI Tribunal imposed a 27-month suspension, taking into account a previous rule violation by Sheikh Hazza in early 2005. Sheikh Hazza lodged an appeal with the CAS against the findings on 6 May 2014. The CAS rejected the athlete's argument that making the rider the Person Responsible (PR) for the horse is an unnecessary and/or disproportionate interference with fundamental rights, and so unlawful and therefore outside the powers of the FEI. The CAS accepted the FEI’s argument that the PR and strict liability provisions simply mean that if the horse has a prohibited substance in its system, the athlete's results with the horse are automatically disqualified and the athlete will be banned unless he/she can show that the substance got into the horse's system through No Fault or Negligence of the athlete. The CAS took into account that systems had been set up by Sheikh Hazza to avoid inadvertent doping, and therefore decided that the athlete's fault was “not significant”. As a result, the appeal was partially upheld, with a partial amendment to the FEI Tribunal’s Final Decision. Sheikh Hazza remains disqualified from the event, but his suspension was reduced. The full text of the CAS decision is available here. Banned Substances are substances that are completely prohibited for use in FEI horses at any time. Controlled Medications are substances that are regularly used to treat horses, but which are not allowed in competition in order to maintain a level playing field. As part of FEI Clean Sport, the live Prohibited Substances Database provides an easily accessible online platform on which Banned Substances and Controlled Medications are clearly distinguished. HEIDI Wade of East Lynne has turned in a marathon-effort to finish 17th at the 50th anniversary of the Tom Quilty Gold Cup, a demanding 160-kilometre endurance horse riding race. Wade, riding six-year-old pure Arabian Pevensey Prosecco in the heavyweight divison, was joined by fellow South Coast riders Roy Counsell aboard Espirit Sherwood in the middleweight division and Irene Adams on Shane D Survivor in the lightweight divison. Unfortunately Counsell, who was aiming to finish his fifth Quilty, bowed out half-way through while Adams’ horse was declared lame after the fourth leg, with only 12 kilometres to go. It was Wade’s first attempt at the world’s largest endurance ride – 340 riders set out at midnight amid torchlight - and there was plenty of hard work leading up to the competition. Wade’s horse was just above minimum age and it had to have completed three 80-kilometre endurance rides previously. “He is quite young to compete in this kind of endurance race but has proven to be an amazing horse,” Wade said. The FEI has appointed Göran Akerström (SWE) as FEI Veterinary Director. He takes up the post at FEI Headquarters in Lausanne (SUI) on 1 September 2015. Akerström comes from the Swedish Trotting Association, where he was Chief Veterinary Officer for five years. He has also been Head of the Equine Welfare department for the past two years. He was a member of the Swedish Trotting Association management team, advisor to the regulatory committee and collaborated closely with the Swedish Equestrian Federation and the Swedish Jockey Club. He was previously veterinary inspector for the Swedish Board of Agriculture and the Swedish Animal Welfare Agency, specialising in equine sports, welfare, disease control and horse transportation. Akerström holds a master’s degree in veterinary science from the Swedish University of Agricultural Sciences, where he later lectured, and was a member of the management team of the Department of Environment and Animal Health for five years. He has also specialised in equine neonatal medicine as a private practitioner, competed in Jumping and Eventing, worked as a course designer and show manager, and was platoon leader and instructor for the Regiment of Halsingland during a 10-year career with the Swedish Army. Horse & Hound has played a part in provoking drastic changes to the FEI’s legal processes, that will prevent future rule-breakers escaping punishment on legal technicalities. H&H’s coverage of the endurance scandal has revealed significant loopholes in provisions for reporting of offences. The successful protest against horse abuse at CEI Sakhir, Bahrain, lodged by H&H contributor Pippa Cuckson and former editor Lucy Higginson in March 2014, highlighted the impracticality of the deadline for reporting abuse within 30 minutes of a confirmed result. Six members of the Lachlan Endurance riders Club travelled to Wisemans Ferry to compete in the Tom Quilty Gold Cup this year. It was the 50th Anniversary ride and was taken back to where it all started back in 1966 in the Hawkesbury Valley of NSW. The midnight start saw 342 riders from all over Australia and 12 international riders head out into the darkness of a very challenging course, which consisted of five legs all returning for veterinary inspections to each horse to make sure they are fit to continue. Global horse sport industry leaders gathered on the eve of Royal Ascot in the historic Great Hall for the Longines Ladies Award, which celebrates the achievements of women who have consistently succeeded at the highest level within the horse world. Princess Haya was honoured as the sole recipient of the 2015 Longines Ladies Award by the jury of Louis Romanet, Chairman of the International Federation of Horseracing Authorities (IFHA), Nathalie Bélinguier, President of the International Federation of Gentleman and Lady Riders (FEGENTRI) and FEI President Ingmar De Vos. Juan-Carlos Capelli, Vice President & Head of International Marketing at Longines, addressed the guests: “We are here to celebrate the extraordinary career of an exceptional, unique and elegant lady. An Olympian, a humanitarian, a United Nations’ Messenger of Peace, and former President of the International Equestrian Federation. Of course, I am speaking of Her Royal Highness Princess Haya. “Many of us in the room have had the immeasurable pleasure of working alongside Princess Haya. Millions more people around the world will experience the positive impact she has had on equestrianism - the sport she loves, the sport we at Longines love - for generations to come. Princess Haya, who last December joined HRH The Infanta Doña Pilar de Borbón (ESP), HRH The Princess Royal (GBR), and HRH Prince Philip, The Duke of Edinburgh (GBR) as an FEI Honorary President, said she was humbled to receive the award in front of so many friends. HRH Princess Haya received the 2015 Longines Ladies Award consisting of a Longines pocket watch: the Longines Equestrian Pocket Watch Horses Trio 1911. The model that served as an inspiration for this 18-carat rose gold very limited edition is a Longines pocket timepiece dating from 1911 with a cleverly crafted background depicting a trio of horses. The heads of these three proud animals stand out against a background of delicately worked foliage. "The Longines Ladies Award recognises the success and achievements of elegant women at the very highest level of the global horse sports industry," FEI President Ingmar De Vos said. “HRH Princess Haya has had a profound and long lasting effect not only on equestrian sport and all those involved in it, but also on countless women outside the sport, who have been inspired by her determination, her strength and her integrity. “Princess Haya has a spirit of competition and excellence. She especially illustrates this in her elegance as a woman, the way in which she ran the FEI, which she directed marvellously well. Her noble way and her class have shown us this,” Nathalie Bélinguier said. On behalf of the guests attending the Longines Ladies Award evening, Longines made a donation to FEI Solidarity, the FEI’s global sport development programme and brainchild of Princess Haya. FEI Solidarity, which focuses on providing opportunities for the next generation of athletes, and all those working in equestrian communities around the world so that local structures can be established to develop the sport, was launched in 2011 and is inspired by the Olympic Solidarity model. “As with Olympic Solidarity, FEI Solidarity now plays a fundamental role in the fabric of the FEI and the growth of equestrian sport around the world,” said Ingmar De Vos, who took over as Chair of the FEI Solidarity Committee last December. The first Longines Ladies Awards were held in 2013, when a jury chaired by actor and Longines Ambassador of Elegance Simon Baker awarded prizes to Princess Zahra Aga Khan, Athina Onassis de Miranda and Sophie Thalmann at the famous Château de Chantilly (FRA) on the eve of the Prix de Diane Longines. Four leading women in the equestrian world, Sylvie Robert, Criquette Head-Maarek, Jing Li and Bo Derek were then honoured in 2014 by the jury that included Longines Ambassador of Elegance Kate Winslet. ENDURANCE: Imbil rider Kaylea Maher won the lightweight division at the Tom Quilty Gold Cup at the weekend in Hawkesbury, New South Wales, and placed third overall. Maher, 29, has been endurance riding for about 16 years and has competed in six Quilty Cups, completing four and two placing first in her division. A Horse & Hound team completed the Golden Horseshoe earlier this month (17 May). 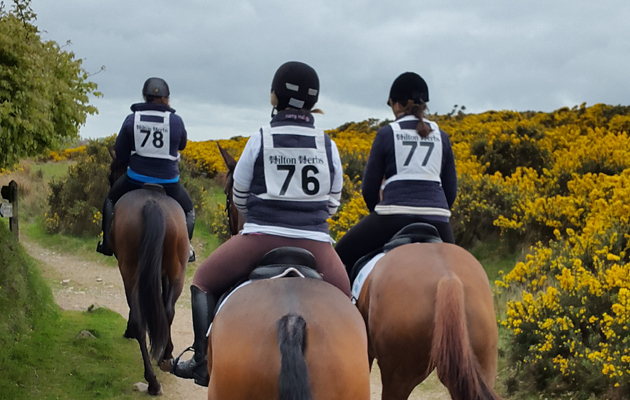 Showing, vet and point-to-point editor Aimi Clark, designer Emily Secrett, news writer/digital sub editor Rachael Hook and dressage/print sub editor Polly Bryan update us on their experiences of the endurance ride. I had mixed feelings as I arrived on Exmoor to tackle the Golden Horseshoe. It is exciting and I barely slept the night before, but it is also the unknown — I’ve never competed in endurance before — and the international side of the sport has been surrounded by controversy recently. To top it off my horse, Bee, has missed several days’ work after losing a shoe and becoming foot sore. Typically thoroughbred timing. The Emirates Equestrian Federation has provided the FEI with a list of proposals aimed at reforming the sport of endurance in the UAE, as the country works toward having its suspension lifted. Next year’s world endurance championships will remain in Dubai for now. The FEI Bureau imposed an interim suspension on the UAE on March 12, citing horse welfare concerns and non-compliance with FEI rules and regulations in endurance. The UAE initially appealed, but later withdrew it and entered talks with the FEI in a bid resolve the issues between them. The FEI Bureau has today welcomed a series of proposals for reform of the Endurance discipline in the United Arab Emirates (UAE), but agreed unanimously that further information needs to be provided by the UAE National Federation before lifting of the provisional suspension can be considered. The FEI Bureau provisionally suspended the UAE National Federation in March of this year following an investigation by the FEI into major horse welfare issues and non-compliance with FEI Rules and Regulations in Endurance. The Bureau gave a clear mandate to FEI Secretary General Sabrina Zeender to work with the relevant departments in FEI Headquarters and seek additional feedback from the FEI Bureau members, before requesting more concrete details on the proposals from the Emirates Equestrian Federation (EEF). The proposals were contained in a 10-page document, which was sent to the FEI Secretary General Sabrina Zeender on Friday 5 June. • Full cooperation with the Equestrian Community Integrity Unit inquiry into the duplication of results at a number of events in the country. The Bureau discussed the proposals in detail before reaching unanimous agreement that the Secretary General and FEI Headquarters should work together with the EEF to finalise the agreement between the two organisations. At that point, and only once the Bureau is completely satisfied that horse welfare will be ensured at all times, that FEI Rules and Regulations will be fully implemented and rigorously enforced, and that all pending issues have been addressed, the Bureau will vote on the lifting of the suspension. In 2016 we launch Race the Wild Coast: a new breed of horse race. Riders, with a team of three horses, compete for victory over 350km of rugged paradise on the remote east coast of South Africa; navigating through this challenging wilderness, swimming rivers and keeping horses fit for vet checks in this complex multi stage race, will challenge the endurance of any horseback adventurer. A little horse with a big heart has carried Ben Hudson from Mudgee in central New South Wales to his first win at the 50th Tom Quilty Gold Cup endurance ride. There were 348 riders from across the country entered in the 160-kilometre ride, which is believed to be the biggest event of its kind in the world. This was Mr Hudson's fourth Tom Quilty ride, having improved quickly from retiring early due to vetting out at his first ride to coming second last year and going one better this year to take home the cup. After some competitive riding out on the track, Mr Hudson was able to trot over the finish line in a time of 10 hours, 16 minutes and 34 seconds. A Hamilton woman has been given a last minute chance to take part in the world's longest horse race, but she needs a leg-up to get there. Isabella Campbell made a late entry to the Mongol Derby, a 1000 km race across the wild Mongolian steppe following Genghis Khan's postal route. She found out she was accepted last week as one of 40 other riders from around the world. "Generally just over half the people make it over the finish line, so making it over that finish line is a massive goal, it's basically my life dream..."
Format changes in the key disciplines could be in place for the next World Equestrian Games, FEI Secretary General Ingmar De Vos says. The President His Highness Sheikh Khalifa bin Zayed Al Nahyan has issued Federal Law No. 7 of 2015 to combat the trade or use of banned substances in horse racing and equestrian sports events in the UAE. The Cabinet has also issued the Implementing Regulations of the new law. The law aims to protect legitimate competition in the sport and eliminate fraud while promoting the principle of sportsmanship. It will also encourage research on combatting banned materials in horse racing and equestrian events, help develop the detection process in order to maximise the effectiveness of preventive strategies and educate owners and professionals about the seriousness of the use of prohibited substances.